For kind hands and soft voices. For warm bubble baths washing away the grime of a shelter stay. For arthritic joints finally soothed by medication. For tired souls resting in snugly heated beds. For nutritious meals filling hungry tummies. For surgeries fixing the little ailments and the big ones. For the talented veterinarians on their side. For peace and quiet during medical or emotional recovery. For foster and adoptive families opening up their hearts and homes. For volunteers giving their free time. For each person donating a hard earned dollar. For everyone who believes that homeless senior pets deserve the opportunity to enjoy their golden years. 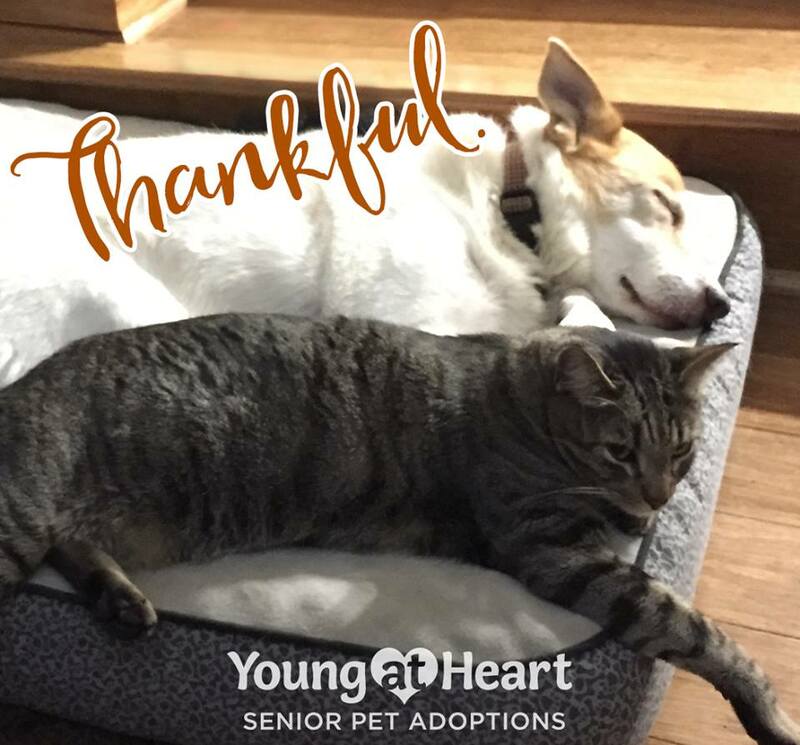 Our senior pets are thankful.